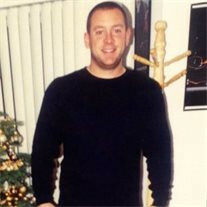 John Robert Winters , Jr.
John was born on June 3, 1975 and passed away on Sunday, June 28, 2015. The family of John Robert Winters , Jr. created this Life Tributes page to make it easy to share your memories. Send flowers to the Robert Winters ,'s family.